Are you ready to master your schedule and focus on what’s truly important? 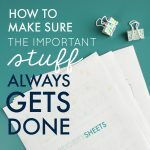 This mini course helps you break free from a to-do list that overwhelms, so you can accomplish ALL of your top priorities. Do you struggle with low self-esteem? Don’t let the fear of failure erase your drive to succeed. 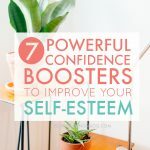 These seven confidence boosters break through the flurry of negative thoughts, so you can find emotional healing and embrace your true worth. 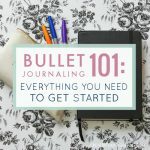 Wondering how a Bullet Journal can help you stay organized? This customizable planner is the one tool that has skyrocketed my own personal productivity, and will radically change how you approach your days. It’s basically my entire life in one notebook! 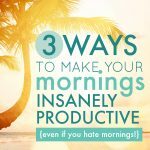 Believe it or not, you don’t have to wake up early to be insanely productive! These tips are the only thing standing between you and an accomplished to-do list. Plus, I reveal a proven system to get your morning back on track…and it actually works! Have you been bitten by the travel bug? 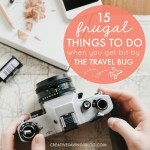 These 15 frugal ideas help you dream, plan, and fill up your travel fund as soon as possible. You’ll also find clever ways to create travel-like experiences right at home!